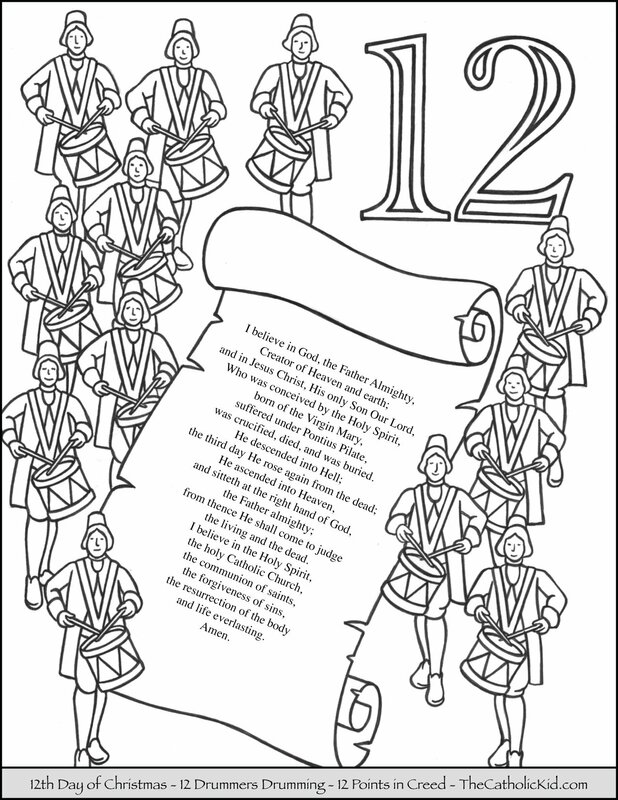 Coloring pages to children learn the meaning behind the 12 days of Christmas. First Day of Christmas. Jesus. 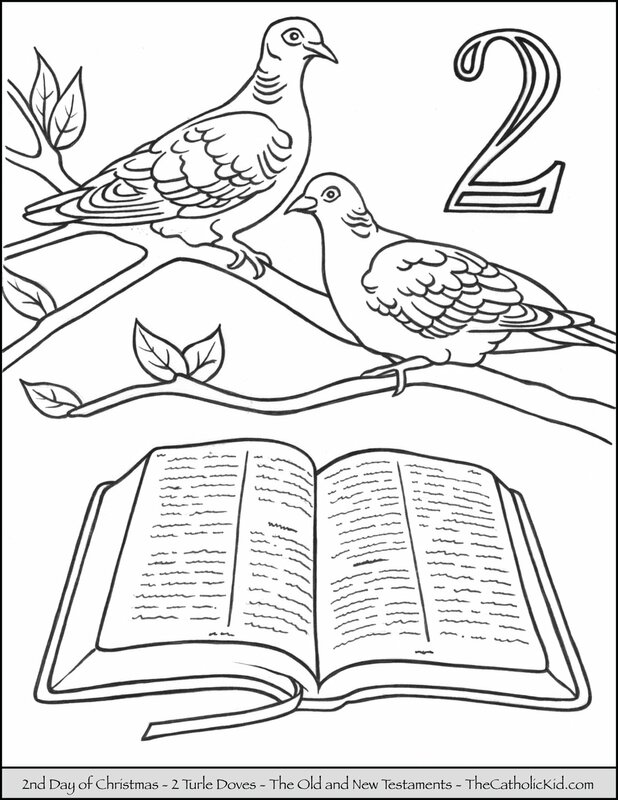 A partridge in a pear tree coloring page. Second Day of Christmas. Two Turtle Doves. 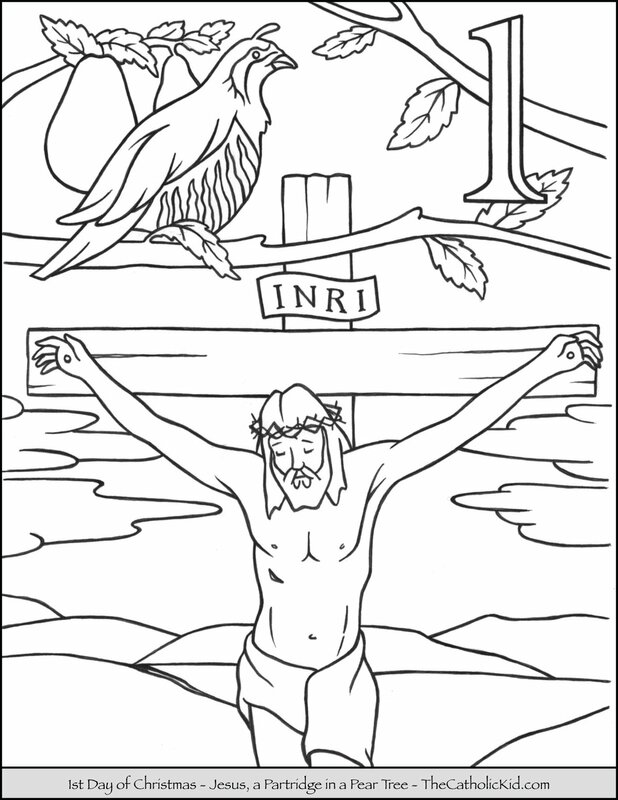 The Old and New Testaments Coloring Page. Third Day of Christmas. Three French Hens. 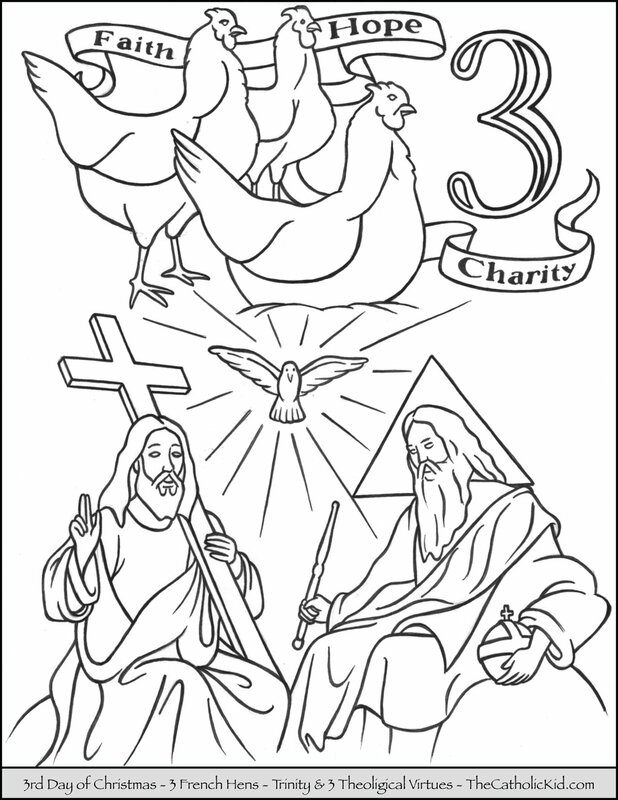 The Holy Trinity and the Three Theological Virtues of Faith, Hope and Charity coloring page. Fourth Day of Christmas. Four Calling Birds. 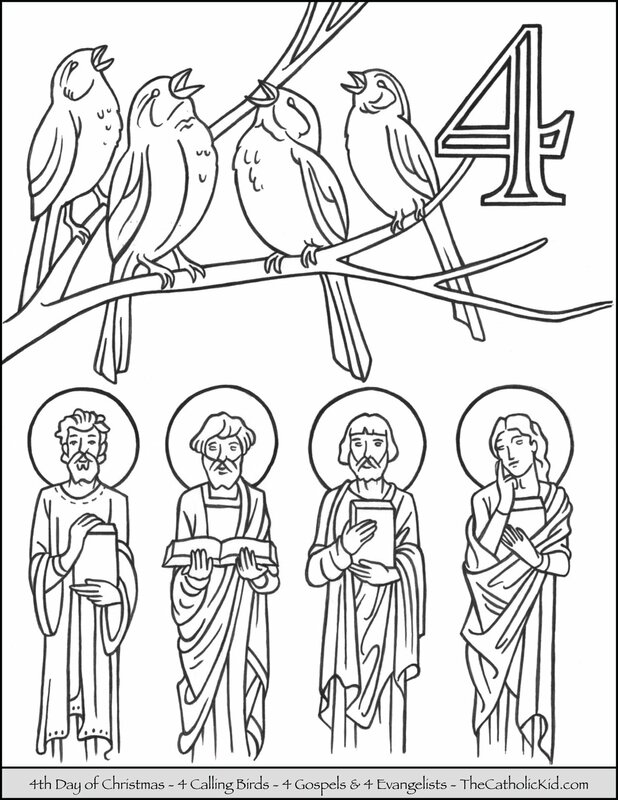 The four Gospels and the four Evangelists Matthew, Mark, Luke and John coloring page. Fifth Day of Christmas. Five Golden Rings. 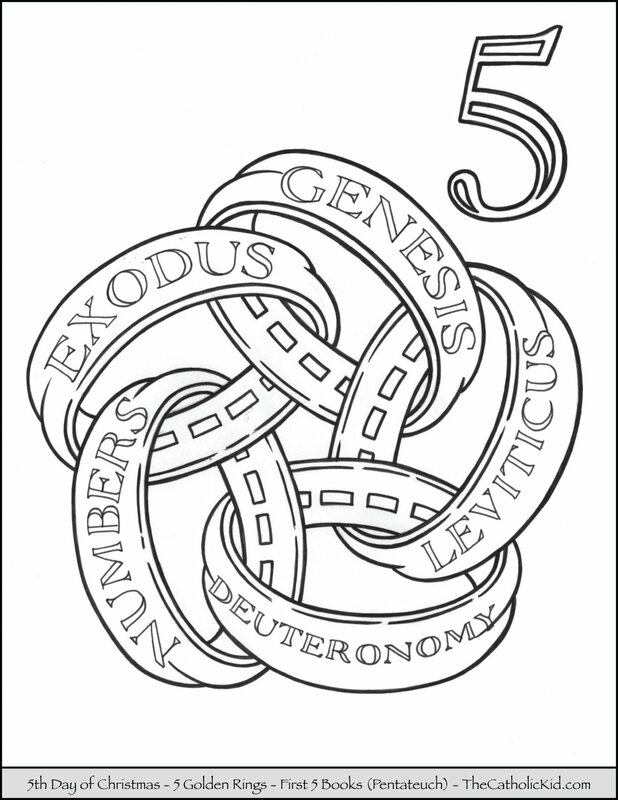 The first five books of the Bible (Pentateuch) coloring page. Sixth Day of Christmas. Six Geese Laying. 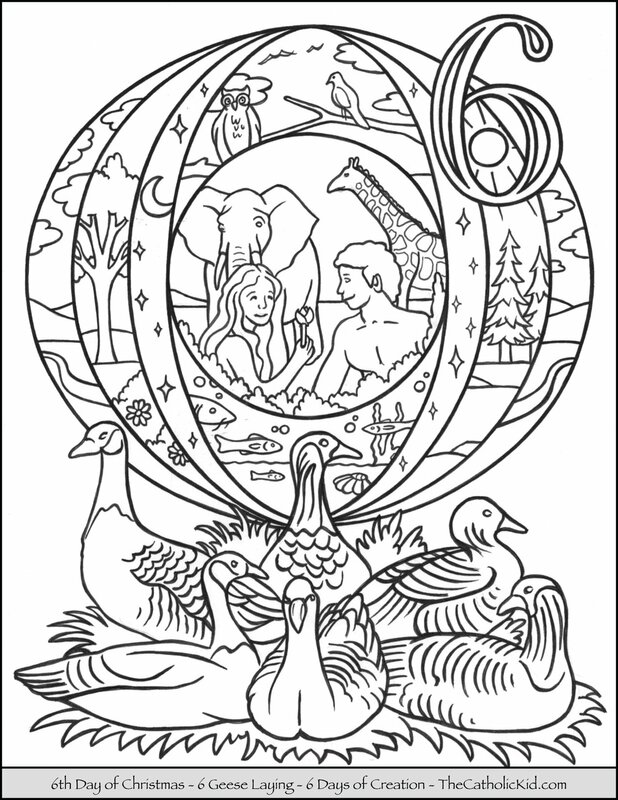 The six days of creation coloring page. Seventh Day of Christmas. Seven Swans Swimming. 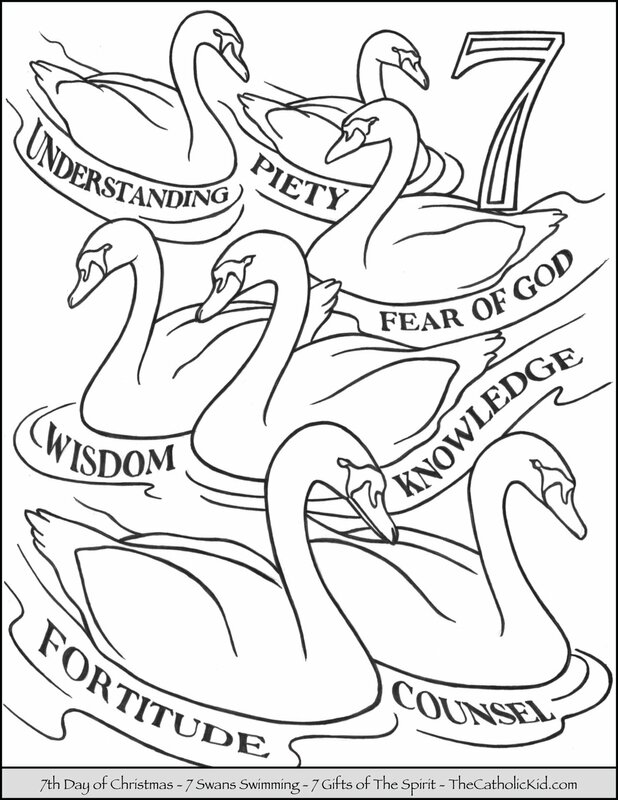 The seven gifts of the Holy Spirit coloring page. Eighth Day of Christmas. Eight Maids Milking. The eight beatitudes coloring page. Ninth Day of Christmas. Nine Ladies Dancing. 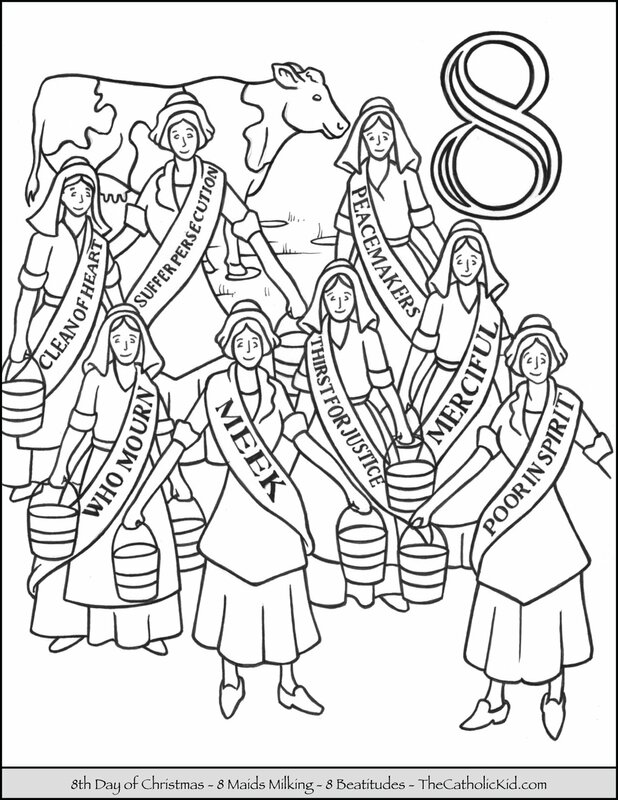 The nine fruits of The Spirit coloring page. Tenth Day of Christmas. Ten Lords Leaping. 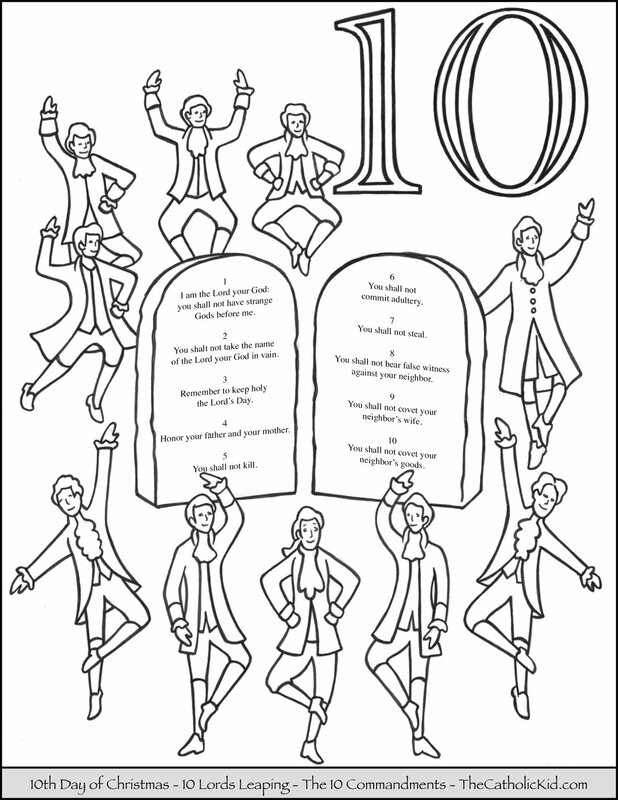 The 10 Commandments coloring page. Eleventh Day of Christmas. Eleven Pipers Piping. 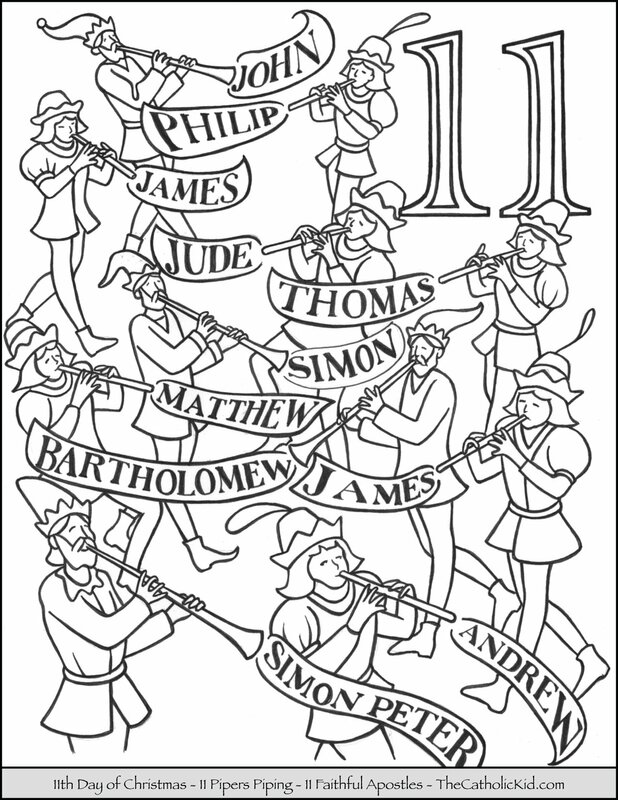 The eleven faithful apostles coloring page. Twelfth Day of Christmas. Twelve Drummers Drumming. The twelve points in the creed coloring page.